European Wilderness Society already informed on our website about the uniqueness of Tarutyns’kyj Steppe and that in October 2016 according to the permission of the local division of the Ministry of Defence of Ukraine local farmers plowed up 1600 hectares of wild valuable area in the Tarutyns’kyj Steppe Reserve on the south of Ukraine. This reserve is protected not only by the state, but also recognized at the level of the Council of Europe as the site of the Emerald Network. Local activists and international organizations did a lot to save this unique area. 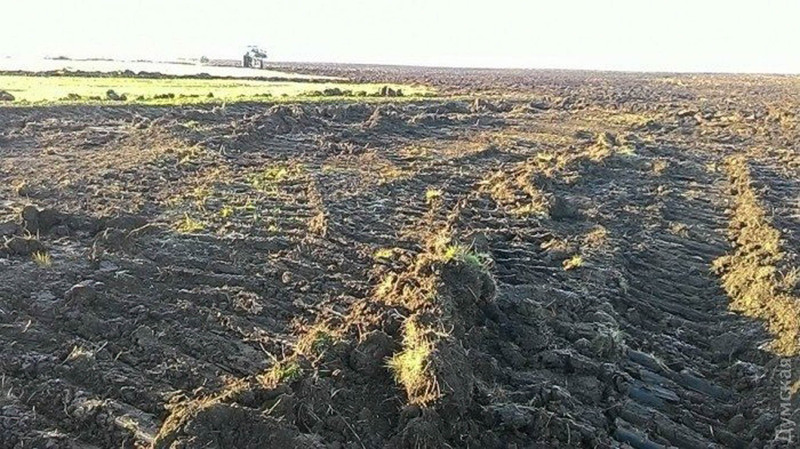 According to the letter of the State Ecological Inspection in Odesa region addressed to the Public Prosecution Office in Odesa region, estimated amount of losses on the territory of the Tarutyns’kyjy Steppe makes 30 974 540 114,7 UAH (equivalent of 1 billion EURO). Expert conclusions of the estimated losses caused by the plowing up of the landscape reserve “Tarutyns’kyj steppe” , based on the proper Decrees of the Cabinet of Ministry of Ukraine, provided by expert scientific group concerns destruction of the vascular plants, spineless creatures, vertebrates and their holes and nests. Such amount became an absolute record in the history of the State Inspection. International Charity Organization “Environment-People-Law” is applying to the National register of records of Ukraine to award inspectorates of the State Ecological Inspection in Odesa region for their important work to preserve abovementioned Reserve. The next court session is scheduled for 18 of September. We have contacted Mr. Rusev Ivan- biologist, scientist, National Nature Park director, one of the experts preparing abovementioned estimate of losses, and are looking forward to receive further news from him. European Wilderness Society expresses support to the actions of Ukrainian activists in order to save unique areas of this country.